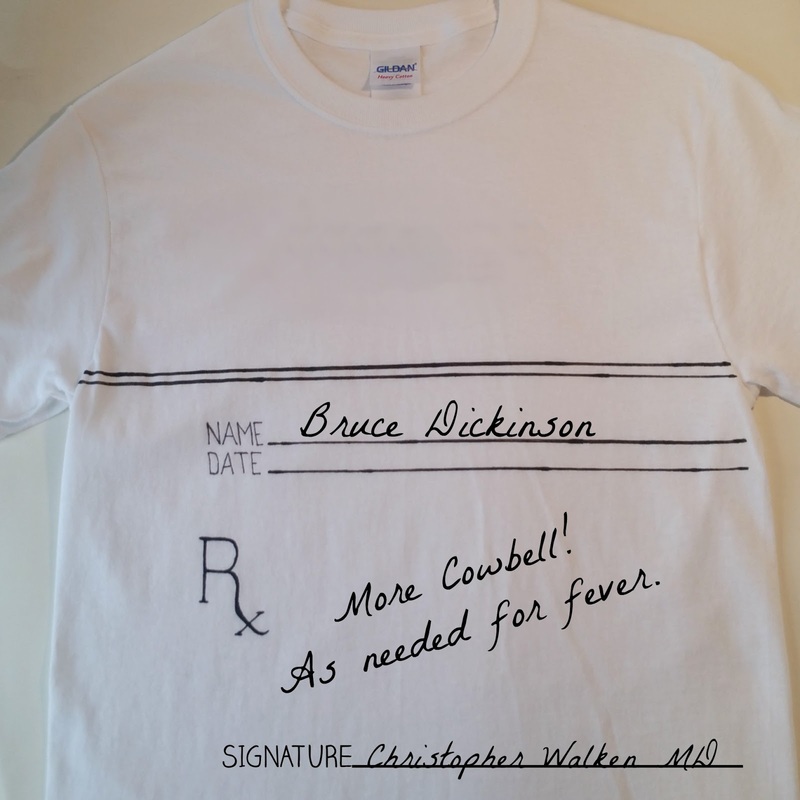 Our favorite gag prescription is for More Cowbell! 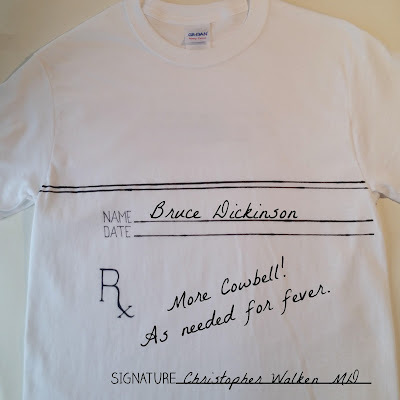 Christopher Walken as music producer "The Bruce Dickinson"
recording "(Don't Fear) The Reaper" by Blue Oyster Cult? 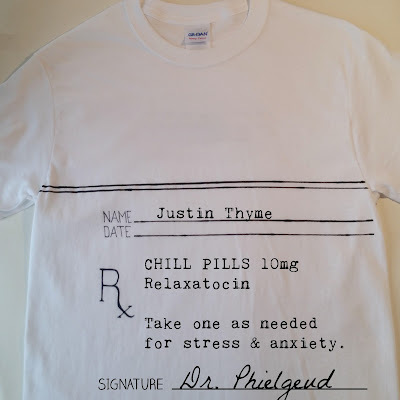 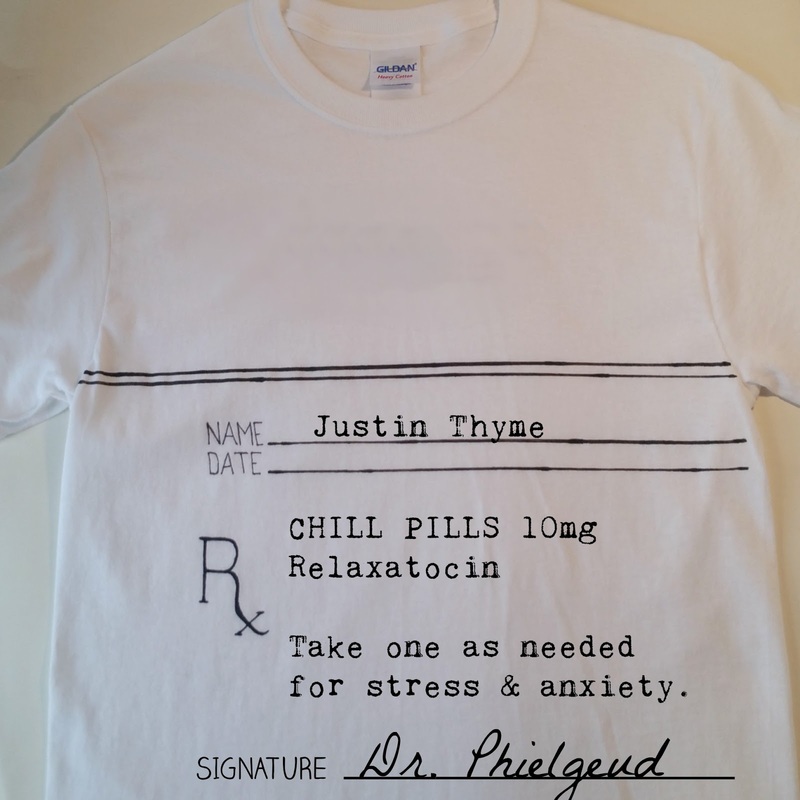 to help Justin Thyme relax this weekend. 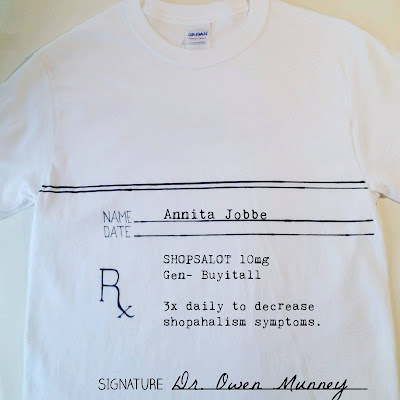 Anita Jobbe REALLY likes to shop on the weekend. 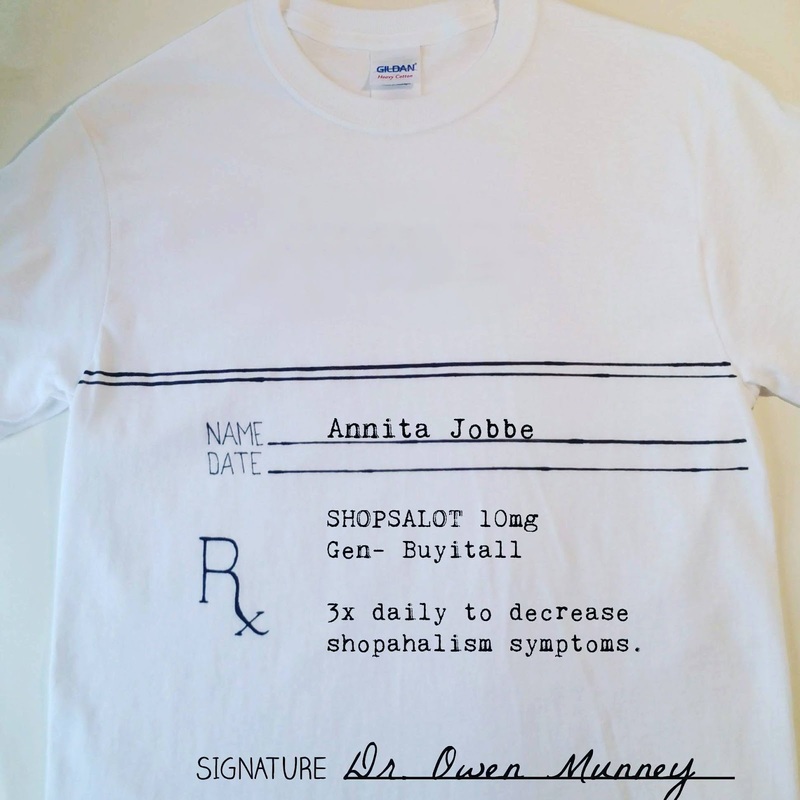 Shopsalot before she could buy it all! 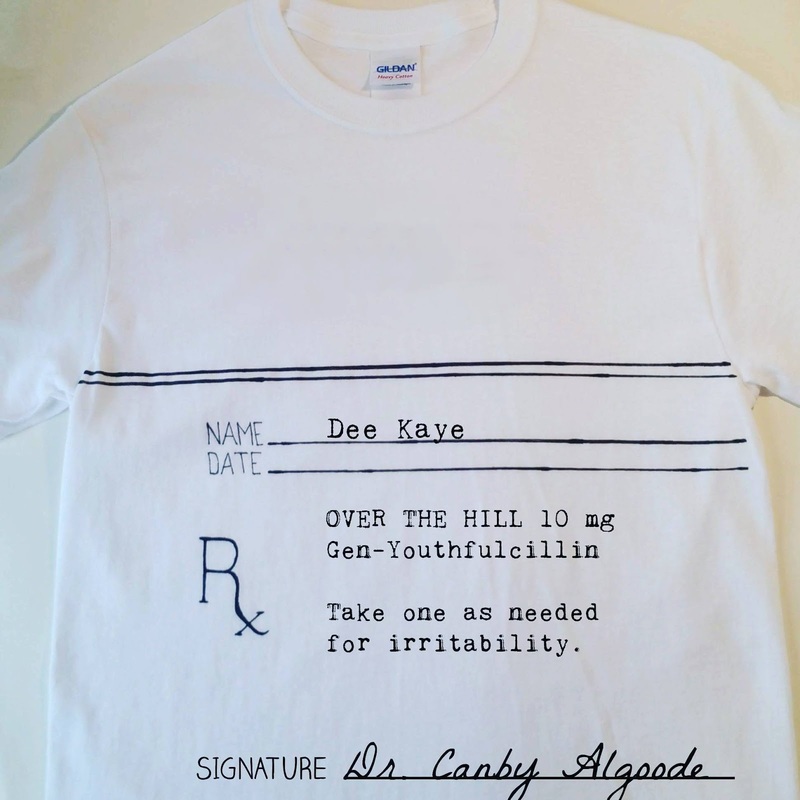 Over the Hill Pills from Dr. Canby Algoode. 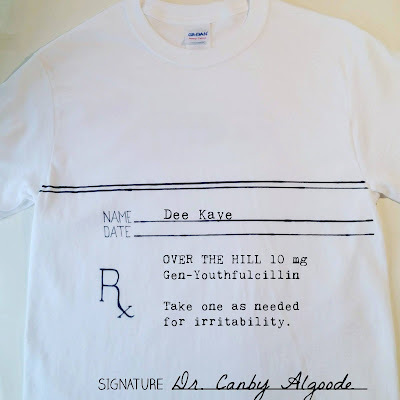 Hopefully he is feeling more youthful soon!